What is Aveeto & How does it work ? 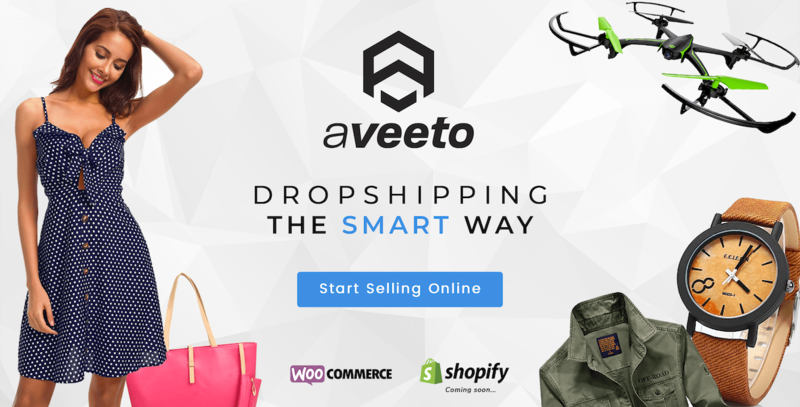 Aveeto is a marketplace that makes it easy to find awesome dropshipping products to sell online. Yes, Aveeto is the solution you’ve been looking for. 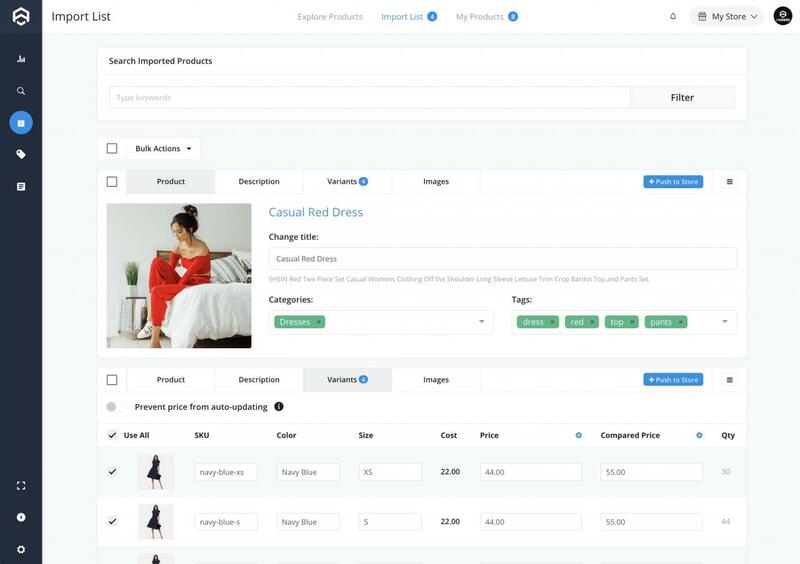 It is the perfect automation and management software to save time, increase the profit and scale your dropshipping business. This app has been specifically designed for WooCommerce stores running an AliExpress dropshipping business. 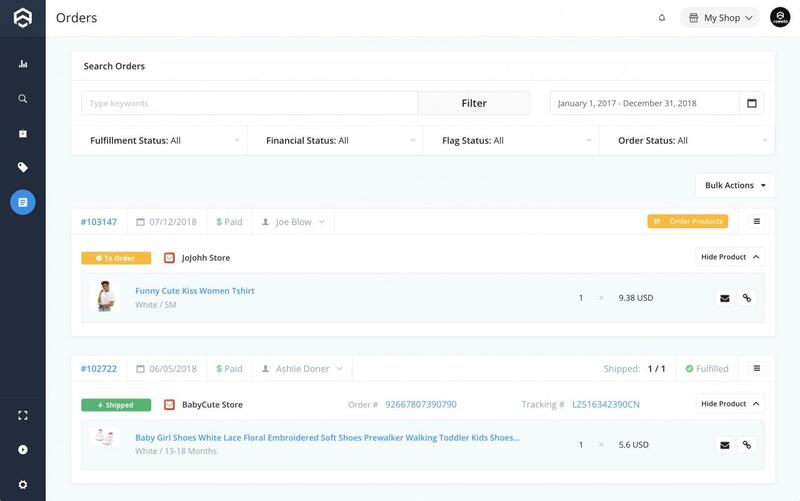 It’s super easy to get started and you can build your own e-commerce store in under thirty minutes with Aveeto. Yes, dropshipping automation is the answer. Interested to know more? You can easily import products from AliExpress directly from Aveeto. All you have to do is search the products from your dropshipping niche and click the Import Button. With a single click, you’ll have all the product information along with the different variants imported to your Aveeto dashboard. Once your product has imported, you might want to change a few details or change the variant information. While you had to do everything on your own earlier, it’s just a click away with Aveeto. You have full control over your own store. Change the product name, description or edit the images to match the overall aesthetics of your webstore all from one place. In a dropshipping store, you must select the products related to your dropshipping niche carefully. Your earnings are the difference between the actual product cost on AliExpress and the selling cost on your dropshipping store. While you can individually edit your own prices, things may get messy if there are hundreds of products in your store. It can get hard to keep track of so many price variations. An easy way is to let Aveeto manage the things for you. 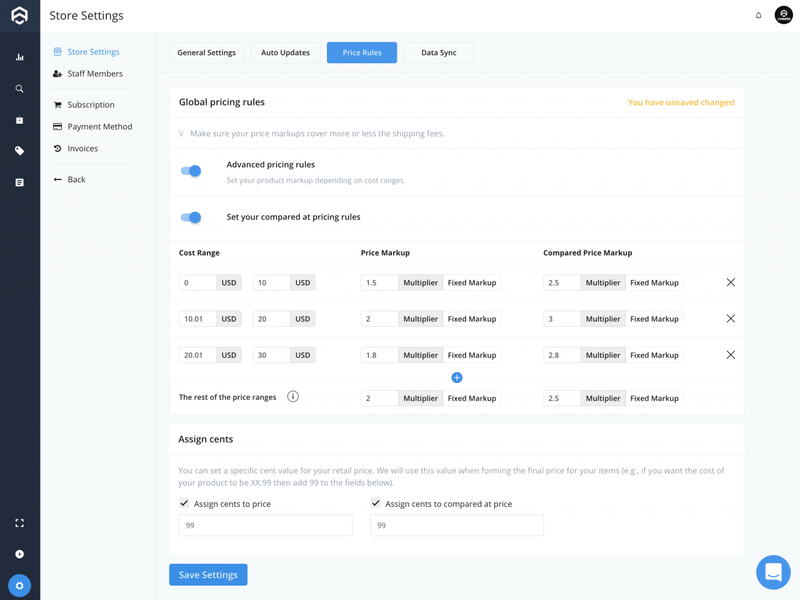 Just go to Settings > Global Pricing Rules and set the profit markup you’d want in your store.Aveeto will automatically reflect the pricing policy for all your store items. Imagine your dropshipping store with 100 products. Manually keeping track of all your suppliers, the product prices, supplier inventory and product availability. It gives me a headache even in imagination. 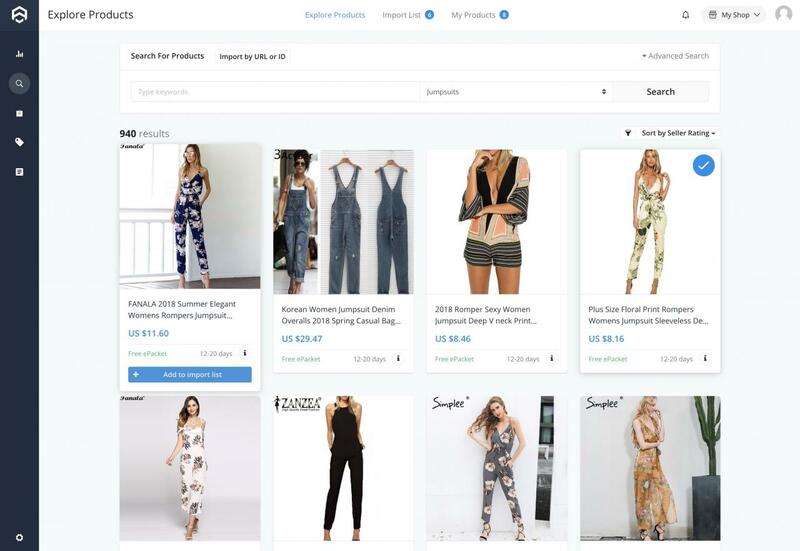 Suppose you have a dropshipping store that sells clothes. You’re happy and managing everything on your own. Soon your products increase and someone orders their first product: A black T-Shirt in L Size. The supplier is out of the stock for L size. What’s more? The price of this shirt has increased reducing your profits to one-fourth. Moreover, you will have to cancel the order placed by your customer. Do you think he’ll purchase from a store that doesn’t update current information? Remember, your customer doesn’t know you are dropshipping your products. Would you want to be in such a situation? Well, I hope not. 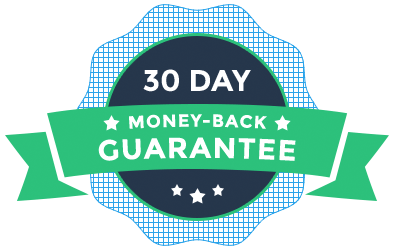 More so, with Aveeto you don’t have to because it tracks all the pricing and inventory changes and makes the necessary modifications to your dropshipping store for you. You won’t have to worry even a single time for these things once you get Aveeto. Dropshipping business, when done right, can scale very fast. As your business grows, the number of daily orders will also increase. 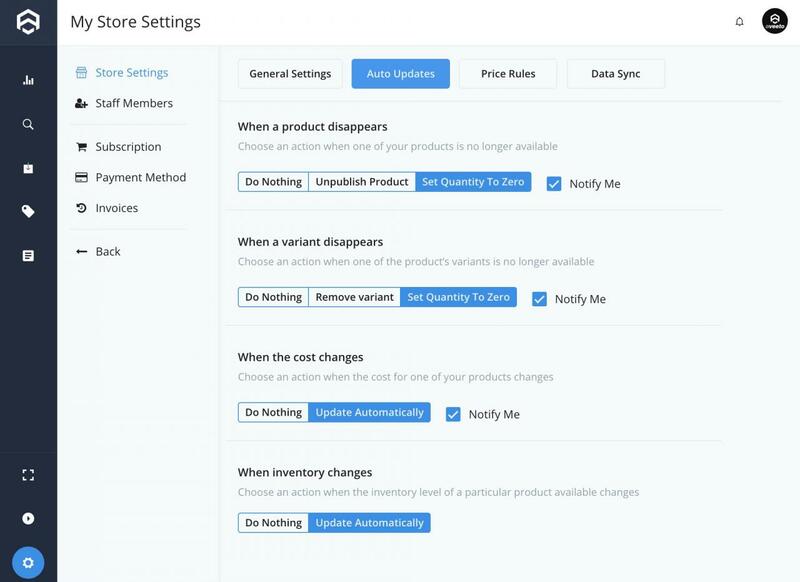 Aveeto helps you to manage order-fulfillment with a single click.  Once you have received the order, you’ll be notified on your Aveeto dashboard. From here on, you can place the order with a single click. If Automated Fulfillment option is enabled, Aveeto will automatically fulfill the order for you in the background without your intervention! Your WooCommerce store will then send an email to the customer notifying them once their order has been placed. Doesn’t that make you excited to try Aveeto now? If you ask me, you shouldn’t wait and get started right away.